This is going to be short because I'm a bit embarrassed this is considered a salad. It's high in fat, calories and it has no nutritional value. Even the "green" stuff called iceberg lettuce doesn't really have much to it. Despite all of that, I still LOVE it and it's one of my favorite staples at a steakhouse. 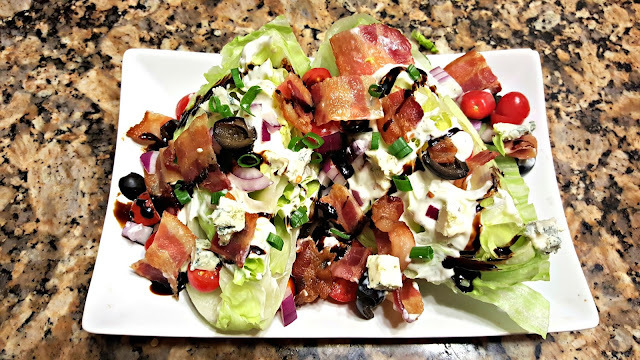 My version includes iceberg lettuce, lots of bacon, balsamic glaze, olives, red onion, Danish blue cheese and of course extra blue cheese dressing. Sometimes I like to be fancy and throw on some sliced scallions for garnish. Here's the calorie count... *drum roll please...** 400 calories!! 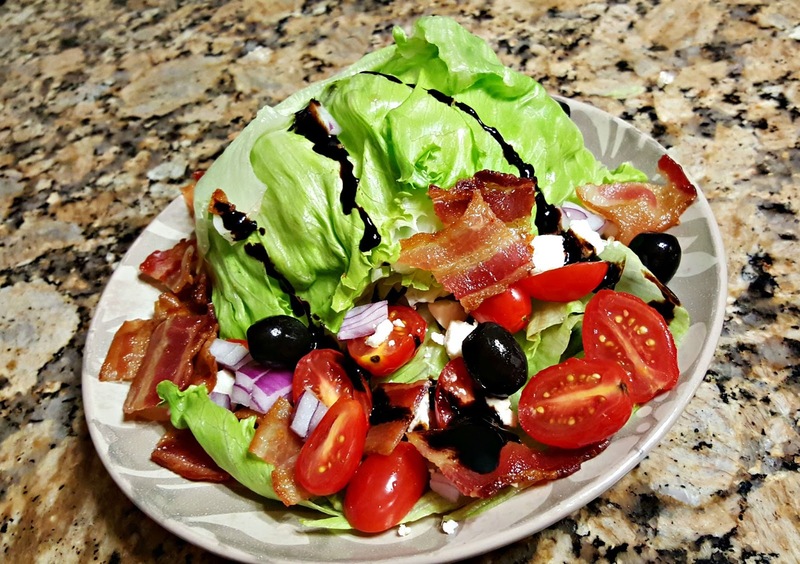 What a high caloric salad with no quality veggies, fiber or lean protein.